When it comes to government issues like this, there are no big sweeping solutions. I am an advocate of playing small ball. In baseball that term refers to tying to get base hits to advance runners rather than swing for the fences. Lots of little decisions to say "no" to new benefits and "yes" to ratcheting down benefits is the small ball solution that allows for progress to be made. Our voting system in America is the cornerstone of democracy. Today, we have a majority of people whose life is improved when government increases benefits. Politically, the more benefits you give to the voting majority, the more likely you are to get elected. Today, the top 20% of wage earners in America pay 67% of all taxes (http://www.taxpolicycenter.org/taxtopics/currentdistribution.cfm). 47% of the tax is individual income tax. 34% is payroll tax. 10% is corporate tax. Lets think of this a different way. 80% of Americans only pay 33% of taxes. In America, if you want to get elected, raise taxes on corporations and increase benefits. You are guaranteed attract the 80% of Americans who will benefit. Today's voter is focused on what is in it for them today, not what is best for our Nation and its future. So, the dilemma becomes, how will our Nation claw its way back to sound fiscal policy? California passed one of the greatest laws in America's history called Proposition 13. It set the tax level on properties and also set the bar really high on making any changes to the law. To overturn Prop 13, the state legislature must have a 3/4 majority or super majority. Most laws in America require a simple majority, lowering the bar to get new legislation passed. The super majority has protected against unsustainable taxation on home owners. FYI - the home owner tax is 1% of the purchase price of your home when you buy it, and also sets limits on the increases each year. It protects home owners from being taxed out of their homes. The three quarter majority is a good thing for a lot of legislation. It would decrease new legislation across government in a significant way and require that the law may only be changed if it has the support of the super majority of citizens, not the simple majority. I am a compassionate libertarian. I believe in small government but am compassionate and supportive of government's role in tackling the really important bi-partisan efforts. We need a Prop 13 style of super majority for more areas of government. Government benefits like social security are taxing away jobs and opportunities for the majority of American workers. No three workers can possibly pay for all of the benefits offered under the Social Security program, which is why our nation in adding so much debt. 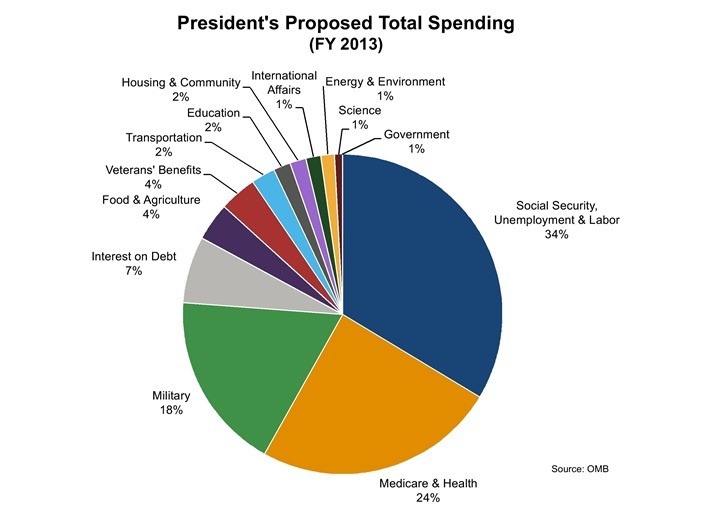 Take a look at the Federal Budget for 2013. We will all be going to the polls this November. Our government approval rating is 8%. Hopefully we will vote the incumbents out of office and get some fresh thinking in our nation's leadership. If you want to be a radical - do not vote for anyone who has been in office for more than 10 years. Their track record stinks! By the way - we are supporting Lynn Compton for San Luis Obsipo County Supervisor. Her thinking is based on her personal experience as a rancher, business owner, and mom. She is sharp and holds a strong long term vision for the impacts of local government. She plans to play small ball by making incremental choices that preserve the economic strength of our region and support reasonable efforts on important issues like affordable housing, infrastructure support, and water preservation. Go Lynn!